Ya'll I've been a little stressed lately. Work is super busy right now and it feels like there are a million things to get done before I leave everyday. Luckily for me, when I am done with work, I get to come home. And not plan a wedding. I cannot tell you how happy that makes me. For serious. That being said, I am feeling very nostalgic for my honeymoon...and the beach...and definitely the cocktails. So here I am, dreaming about the next vacation we're gonna take (even though we have no plans to take a vacation for a while) and then I realized I never shared any of my amazing honeymoon with you! It was seriously the BEST trip I have ever had and by far the most relaxing. 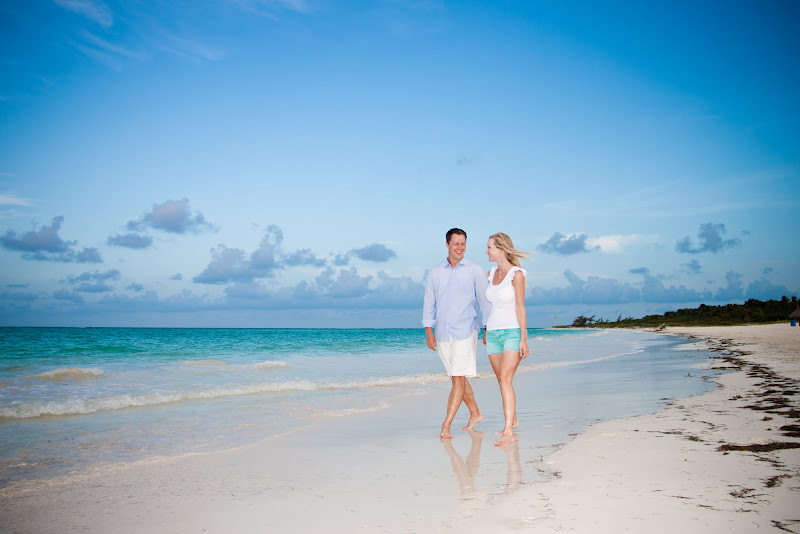 We went to Secrets Maroma Beach Resort in the Riviera Maya area of Mexico (near Cancun). We flew direct from Cincinnati into Cancun (about 3 hours) and were greeted with a mimosa on the plan and a hot towel! We arrived at the hotel at about 8:00pm in Cancun and were greeted with more champagne. We ordered room service once we unpacked and put on the over-sized cotton robes they had waiting for us in the rooms and just vegged for the first time in weeks. We had only gotten maybe 4 hours of sleep the night before and after traveling all day, it was heaven. The next morning we woke up and ordered room service again for breakfast before heading out to the pool. The pool....was...amaze-balls. Food, drinks, ice cream, and whatever else you want right at your fingertips. Husband was completely mesmerized by the swim up bar. No, he really did not want to leave once we sat down and got our drinks. He kept saying, "We're in the pool. And at the bar. We are sitting on bar stools...in the pool." I get it sweetie. I really get it. We lounged all day by the pool before heading back to the room for what would become a daily nap. I seriously never napped so much in my life. For whatever reason, relaxing was exhausting. The first few nights we were there, we tried to make it around to all the different restaurants before venturing back to our favorite places. On the second day we went out to the beach. I die. No really, I die. I have NEVER seen sand as white as it was there, nor water so blue. If you looked up the definition of aquamarine, a picture of this beach would be there. It was relaxing and beautiful and not crowded at all which I loved. In the evenings we spent time in the main lobby enjoying drinks and taking advantage of the free wifi! We walked around the resort at night and even caught a show one of the evenings...the same evening I volunteered us for the newlywed game in the resort night club. But that's another story. One of many pictures I took like this...so relaxing! The time I tried a pina colada...yuck! Before dinner, mid week. This was in front of the swim out pool we had at our room. 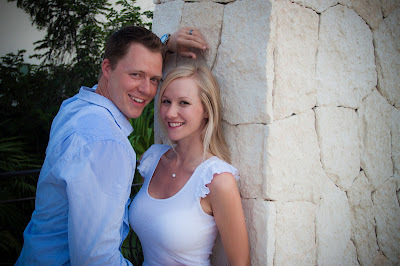 Right after he discovered on of his favorite bourbons on the resort...Who wouldn't marry this guy? lounging by the pool right before lunch. After I volunteered us for the newlywed game...husband was less than thrilled! Toasting on our last full day at the resort. This is no joke what the beach looked like. It was gorgeous! First of all, those last professional pictures are incredible! Second, I want to go on vacation now...please and thank you. Let's plan a trip together, k? K.
Those pics are so amazing!! Looks like an awesome & relaxing honeymoon! Those professional pics are gorgeous! Love!!! LOVE these pics! Our honeymoon is STILL my favorite vacation so I know how special your memories are. So happy you're happy! XOXO. Love all of these pics! Looks like the two of you had an amazing time! Rafting is undoubtedly a wonderful water sport. Looks like a great honeymoon! Your resort looks really nice! We are too much glad to see this blog because with the help of this blog we can easily choose too much attractive and fashionable drop pearl earrings for us. So we feel thankful to you for posting this blog. We wish more people will know the beauty of clip on pearl earrings. They are so fashion, such as cultured freshwater pearl. Hope you will like them more.